How would you make your first sale online if you were starting over? It’s very simple. Find any unused paperback book, school textbook, or cookbook you have around the house. Type in the title of that book in the “search” box on Amazon. The good news is that YOU TOO can list your used book (or any item you want) in Amazon’s marketplace. You quickly register an Amazon Seller account and say, I want to sell my used copy of “The Da Vinci Code” or “Harry Potter” for $0.01 plus $4.99 shipping. When someone looking for the book “buys” it from Amazon, they send you an email and a shipping label. You throw that used book into a box, tape the pre-paid shipping label to the outside, take it to your local UPS Store, skip the line, drop it off on the counter, you mark the order as shipped and get paid. Now, you might be wondering… if I can list ANY item such as a used book on Amazon, can’t I sell things like DVDs, office supplies, beauty products, pet supplies, and more? Make a 5 to 10 dollar profit on each item and sell 10 to 20 per day? With a quick 5 minute trip to any of these stores, I can load up the shopping cart with $100 to $200 of inventory. These are specific items I can get for $5 to $10 (locally, they haven’t sold in stores so they are at a discount) that sell on a regular basis on Amazon for $15 to $30 (verified based on the “sales ranking” I’m looking for). The process is simple. After buying the items I want at the store, I simply scan the products and tell Amazon how many of each item I have (i.e. 5 litter box trays and 10 packages of soap). Then, I throw those items in a single box (whether I have 10 things or 100 things) and mail them directly into Amazon’s warehouse. The ONLY thing I have to worry about is finding new inventory to mail into Amazon. But you might realize there’s a bottleneck. The math “roughly” works out to doubling my money. That means if I visit my local discount store (the items I have on sale won’t be the same items you find on sale in your local city) and I find items that sell on Amazon for three times what I pay, I basically double my money after fees. Think about this. If I load up the cart with $200 of inventory, I’ll “roughly” get $400 back after everything is sold. This might mean I have to load up my cart once a week or several times per week. It’s an easy $1000 per month if I continue restocking my inventory, but does it scale? This is where it gets interesting: You can CREATE your very own BRAND NEW product listing on Amazon. Do you see measuring cups selling for $9? Cast iron skillets selling for $25? Baking sheets selling for $10? BPA free water bottles selling for $12? It’s a very simple process (once you know how) to find a manufacturer who will produce 100 to 500 measuring cups for 30 cents each, cast iron skillets for $1, metal baking sheets for 50 cents each, and the EXACT same water bottles (almost down to the picture) for 10 cents each. Create a listing with a title, bullet points, keywords. THEN have your supplier send a full shipment of water bottles DIRECTLY into Amazon’s warehouse and NOW you have an inventory of tens or hundreds of these items ready and waiting to take orders. This is the step most people won’t take, but YOU will. Now YOUR physical item is for sale on one of the highest trafficked sites in the world. As you get more orders, collect reviews on the product, and grow that listing, you’ll climb in Amazon’s rankings and have an easier and easier time making those repeat sales… if you know how! Imagine: Amazon holds whatever inventory you want to send them (either one small item or a ton of items) — when the order comes in, you do nothing! They ship out, they send the emails, they handle the customers… it’s as if eBay worked for YOU! The first thing you’re going to want to do as a Dropship CEO is get a handle on listing physical goods on Amazon… but don’t get carried away just yet! You wouldn’t believe how many people get STUCK with Amazon’s signup process… or they get too carried away and try to sell 10, 20, or 100 products right out of the gate. Or they’ll “gamble” $1,000 to $10,000 without any kind of research or strategy… NOT GOOD! Instead, we’re going to get you to list things you already have access to, and here’s the good part… YOU can sell just about any product that’s already listed on Amazon! Once you see how we do this, you’re going to be shocked and amazed at how quick and simple this is… type a couple of things into a computer, stick it in a box, and mail it off to Amazon! These overseas suppliers are NOT in the business of selling to the end consumer, they are NOT in the business of listing their items on Amazon or in retail stores like Walmart… all they care about is creating these items and selling a bunch of them! These are huge profit margins and because the actual “work” is done by your supplier and by Amazon, all you have to do is give the commands. 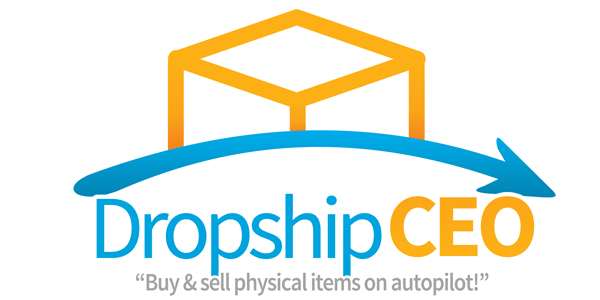 In the final module of Dropship CEO, we’re going to show you how to navigate the world of Amazon selling to promote and scale your physical products and beat any other seller that comes along! 10-Years Email Marketing Veteran Shock the Online Marketing World with His Eccentric Email Formula… Revealed for The First Time: You’r about to discover 5 Steps that will change everything you know about making money with email.